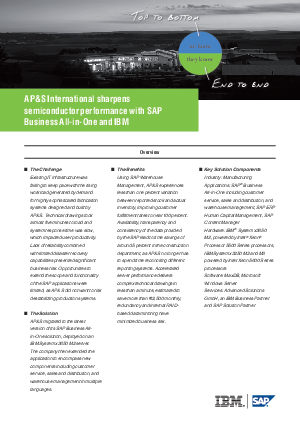 SAP Business All-In-One provides the best comprehensive solution for AP&S. The system handels reporting, data integrity and management automatically, freeing up employees to again concentrate on serving customers. Read more about how SAP Business All-In-One can help you and your business here!